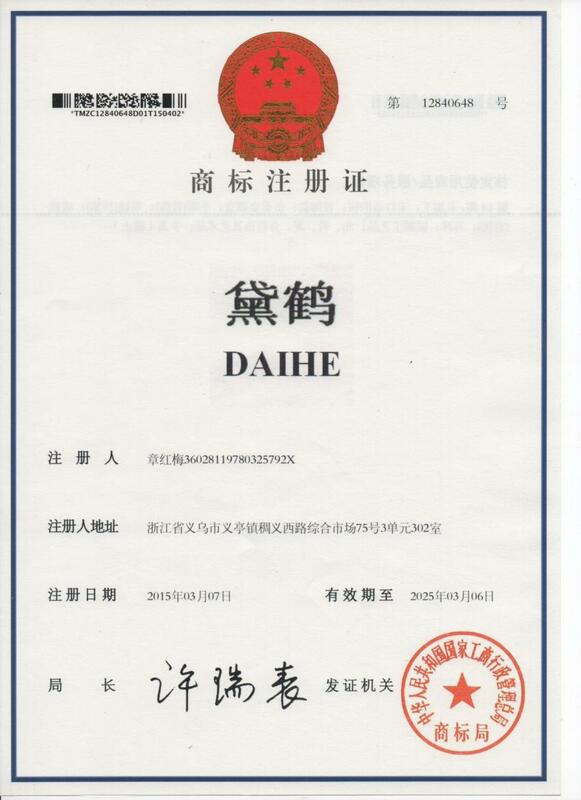 Company Overview - Yiwu City Daihe Import And Export Co., Ltd.
Yiwu City Daihe Import And Export Co., Ltd. was established in 2011 in Yiwu, China. Our company is specialized in the manufacture and export of Jewelry, Garments, Fashion Accessories, Crafts and Costumes.We have a professional and experienced technical development group. They are willing to design and manufacture products as per both standard and customized specifications (Jewelry). We have a sincere, efficient and professional team. We believe that we can offer you better service.Dedicated to strict quality control and thoughtful customer service, our experienced staff members are always available to discuss your requirements and ensure full customer satisfaction. Guaranteeing stable and timely supply, credible quality and sincere service, our products sell well in both domestic and overseas markets. If you are interested in any of our products, or wish to place a customized order, please contact us. We will do our best to meet your needs.